A more American legal model for gang violence? At first glance the question facing the supreme court in R v Gnango, heard on the 11th and 12th July, reads like a particularly complex examination problem. If D1 and D2 voluntarily engage in fighting each other, each intending to kill or cause grievous bodily harm to the other and each foreseeing that the other has the reciprocal intention, and D1 mistakenly kills V in the course of the fight, in what circumstances, if any, is D2 guilty of the offence of murdering V? In reality, the case is far more than a legal brainteaser, dealing as it does with the controversial area of the law of joint enterprise and its application in context of gang violence and street warfare. In Gnango, the respondent had a dispute with another youth. The dispute culminated with an exchange of gunfire between the respondent and another young man, known as "bandana man" in a car park. In the course of the gunfight a young woman, Magda Pniewska, who was walking through the car park at the time, was killed. Forensic examination showed that the bullet that killed her did not come from the respondent's gun, but from that of bandana man. The respondent and bandana man both fled from the scene. a) Where two or more people join in committing a single crime, in circumstances where they are in effect joint principals, for example where three robbers confront a security man making a delivery. b) Where D2 aids and abets D1 to commit a single crime, for example, where D2 provides D1 with a weapon to commit a robbery. c) Where D1 and D2 participate together in one crime and in the course of it D2 commits a second crime which D2 has foreseen he might commit. The Crown did not attempt to argue that the respondent was liable under the first two types of joint enterprise. 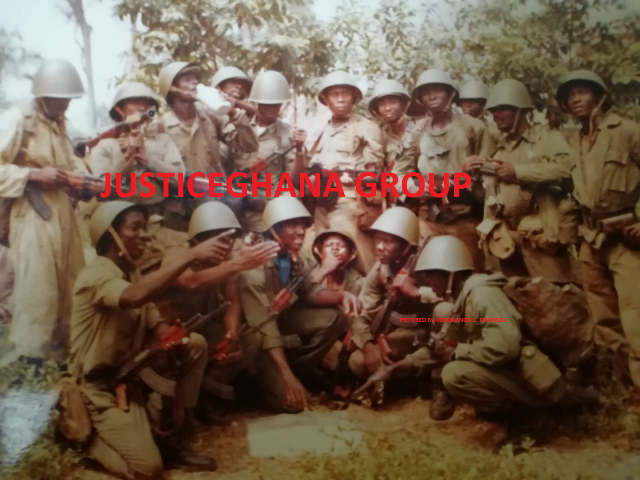 In the original trial an attempt had been made argue that the respondent was liable under the first type on the grounds that the respondent and bandana man had been engaged in a joint enterprise to shoot each other and be shot at. The Crown's case thus rested wholly on the third type, a joint enterprise to commit the crime of exchanging fire in a public place (affray), with the foresight that murder might be committed when they shot at each other. The court of appeal found that it could not be argued that the respondent and bandana man had a common enterprise to commit an affray, as it could not be said that they shared a common purpose that each would use unlawful violence against each other. While both the respondent and bandana man both committed individual acts of affray they had not shared a common purpose, their purposes had in fact been diametrically opposed, as the purpose of each was to harm the other. "The essence of secondary liability is that the parties are acting together or, as it is often out in concert…Two people who voluntarily engage in fighting each other might, exceptionally, be acting together or in concert but ordinarily they are not. It is not realistic to say that they acted in concert to cause fear; they acted independently and antagonistically in a manner which did so" (Para 59). The court of appeal explicitly distinguished Gnango from cases involving duels and prize fights, where there is an explicit agreement to use unlawful violence, and where liability is an extension of the application of the principles of aiding and abetting. The court found that there was simply no precedent for the type of scenario in Gnango. The closest parallel was that in Mansell v Herbert's Case (1555) 2 Dyer 128b 73 ER 279, where in the course of an attack on a house by a group of men a woman was killed by a stone thrown by one of the group at another person. By a majority the judges decided that all were guilty of murder. However, the court deemed this case of historical interest only. Joint enterprise principles are complicated, not least because they are frequently used to bring defendants together whose actions pursuant to an offence may have been very different. And this is by no means the first time that the supreme court has been asked to consider its application in novel factual permutations. In Rahman (2008) UKHL 45, their Lordships considered the application of the fundamental difference rule, whereby D1 may be acquitted if the act of D2 was fundamentally different from that considered by D. Rahman makes it clear that the "fundamental difference" must relate to the conduct of P and not the intention. However, even in Rahman, applying that principle was not straightforward. Their Lordships referred to an earlier case, Gamble (1989) NI 268 where there was a common plan to kneecap the victim, but instead his throat was slashed and he was shot in the head. In Rahman Lord Bingham and Lord Roger agreed with the decision in Gamble and held that D was not liable: it was as if two new people had jumped out of the bushes and murdered the victim. In contrast, Lord Scott, Neuberger and Brown argued that D should have been liable: if the aim was to punish the victim then the method was of less relevance than the purpose. Against a background of such eminent differences in approach, it will be interesting how the supreme court approaches this case. Alongside the difficult legal principle, it is also significant that joint enterprise law and public policy have become closely linked – some might say uncomfortably so. The broad nature of joint enterprise as it stands has often been justified on the basis that it is a deterrent to gang violence. In many ways the most interesting part of the court of appeal judgment was the final section in which Thomas LJ posed two questions. Firstly, does justice and the effectiveness of the criminal justice system require the imposition of liability in situations where opposing persons agree not only to hit but to be hit? That is, does the fact that each hopes for different outcome (that they will be the one who is victorious) prevent them from sharing a common purpose and being found liable under the first type of joint enterprise? Secondly, in the context of gang violence between two opposing sides (for example "home" and "away" groups) to what extent could the "away" group be held liable if the "home" group killed in an innocent bystander in the course of the fight? How far the public policy factors play in the supreme court's decision remains to be seen. If the court of appeal's ruling is overturned, it will not only add another layer of complexity to the already difficult area of joint enterprise, but may signal approval by English courts for a more American legal policy model for dealing with street violence.